Happy New Year! Can you believe it is already 2018? This year really flew by for me. It is always fun to reflect and see what all I accomplished over the last year. I am going to recap some of my personal life changes and accomplishments and share my Top 5 Blog posts from 2017, picked by YOU! 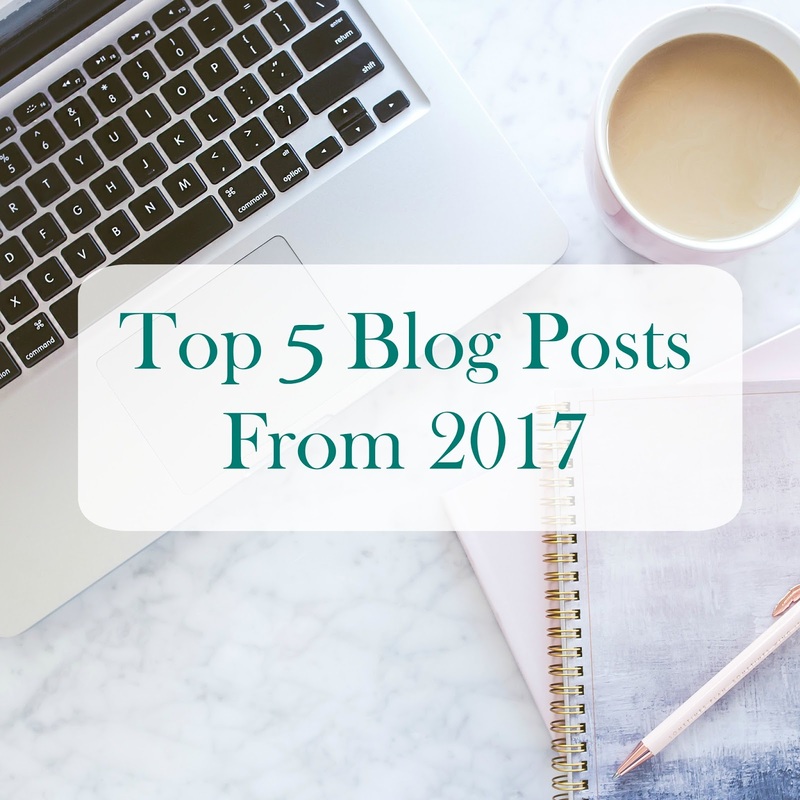 Last January, I embarked on a new career path, when I left my corporate job of 16 years and took a job as the Part-Time Office Manager at my church, which meant I also had more time to focus on blogging as well. It has been one of the best decisions I have ever made and the Lord has provided for the lack of income with my blog and other sources of income through side projects. If you want to read more about my decision, I shared about it in THIS POST. Also, on the personal front, my son turned 16 and got his driver's licence, which is the reason for a few more gray hairs. Oh, and we finished a MAJOR basement reno, which we have been working on for over 2 years! On the blogging front, I took advantage of several amazing opportunities that I am grateful for, only being in my second year of blogging. I was a monthly guest contributor on Sweet Tea and Saving Grace, ran by my friend (and mentor), Kirsten. I represented a wonderful, family-run clothing company. Aventura, for the second year in a row as one of their Ambassadors. I did not one, but two Facebook Lives on Hometalk's page, which was seen by thousands of people! I was a paid influencer for a couple of large brands that I love, in addition to being able to work with several smaller companies. I got to collaborate with new blogger friends on craft and fashion challenges. I participated in my first One Room Challenge, where I made over an entire space in 6 weeks. Speaking of the One Room Challenge, the reveal post was one of my top 5. Here they are in order! So, you guys obviously love my DIY's and Cricut projects, which I will continue to give you! Which post was your favorite? One of these, or one that was not in my top 5? Let me know in the comments below! 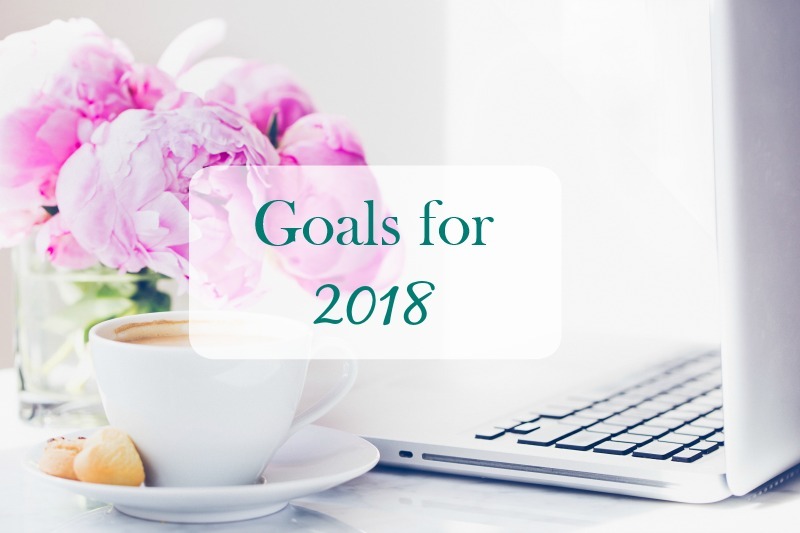 So now that we looked back over the last year, I want to take a minute to look forward and let you know some of the things I have in store for 2018, along with a couple of personal goals. On the blogging front, I am going to focus on doing more of the projects I love, while still sharing my fashion tips. My goal is to post twice a week, although I am not going to stress if I can't. Sometimes it is easy to get sucked in to the comparison trap and get caught up in "I should be doing this or that because they are." My goal in 2018 is to be me and try to worry less about trying to be someone I am not. I am also going to try to do more FB Live projects, so comment or DM me on social media with ideas or things you would want to learn about. I also plan to take an online photography class so I can finally learn how to use all the manual mode features on my camera that I got for Christmas last year! I am also excited to continue some of the partnerships I have in order to bring you fun projects, home hacks, and possibly even some giveaways! If you are not subscribed to my email, make sure you go ahead and do it so you do not miss out on any important news! Personally, I want to spend more time in the Word. I am terrible at staying on schedule with a daily Bible reading routine. I do pretty good when I have a devotional, but then I fall off when life gets busy. I am going to put more effort in making time for Jesus every day. I plan to join in the Word Before the World Challenge from Well Watered Women if you want to join me. I also want to get certified as a Les Mills Instructor. I take several different Les Mills classes at my local Y and they have been in need of more Body Flow instructors, so I have signed up and am just waiting for an Initial Training in my area. So hopefully by the end of 2018, I will be a certified Body Flow instructor teaching at the YMCA! This trip down memory lane turned into a wordy post, so if you have made it through to the end, kuddos to you! Here's to a fruitful and blessed 2018. Leave me a comment with your biggest accomplishment this year and your goals for 2018! THANK YOU for reading and for following along with me here at my little piece of the Internets...I am grateful for all of you and could not do it without you! Honestly, one of my favorite posts to read on blogs are 'Year in Review' style posts! I'm excited for you - your personal and blogging goals both sound amazing, and I can't wait to hear how they go this year. I think it would be nice to check in throughout the year! :) Happy new Year! Awww that is a great idea..I will work on that for you. Thanks for the suggestions and encouragement. 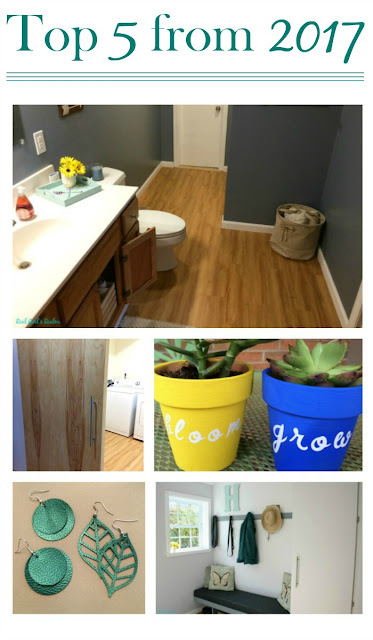 I like the Mudroom reveal the best!